ECC Agriculture & Renewable Energy Center – Located on Highway 65 just south of Iowa Falls at 705 Ellsworth Avenue. It houses the Agriculture, Animal Science, Biotechnology and Renewable Energy programs. To get to the Ag & Renewable Energy Center from the main ECC campus, get back onto Highway 65 and go south. The Hamilton Campus is on the south edge of town, on the west side of the highway adjacent to Thiessen’s. The Ag & Renewable Energy Center is the smaller of the two buildings on this site. Ellsworth Equestrian Center – Located on Highway 65 just south of Iowa Falls at 709 Ellsworth Avenue. 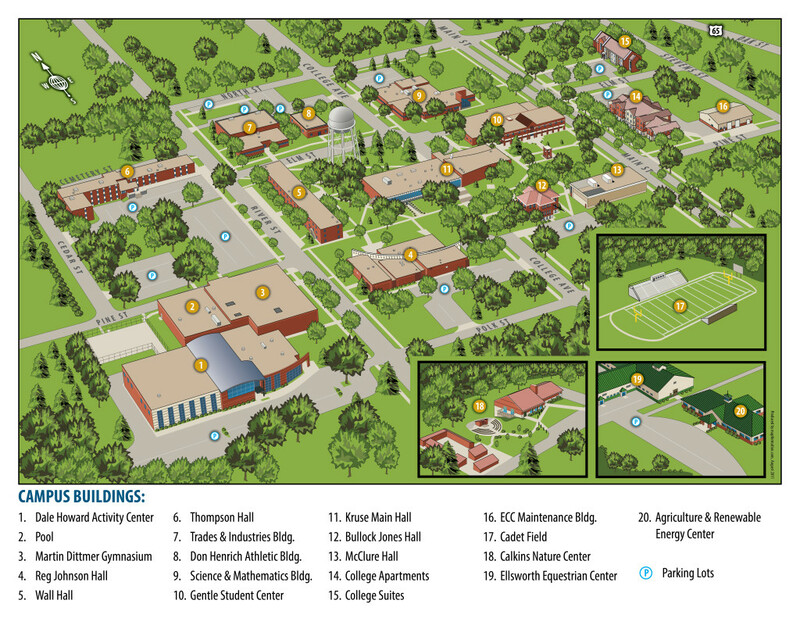 To get to the Equestrian Center from the main ECC campus, get back onto Highway 65 and go south. The Hamilton Campus is on the south edge of town, on the west side of the highway adjacent to Thiessen’s. The Equestrian Center is the larger of the two buildings on this site. 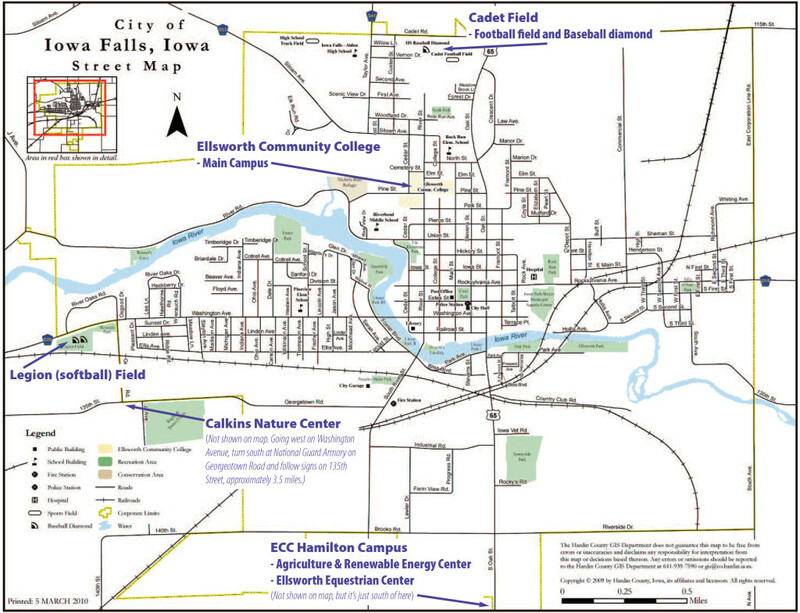 Cadet (Football & Baseball) Field – Located at 1807 N. Oak St. in Iowa Falls. Legion (Softball) Field – Located just west of the National Guard Armory at 217 Georgetown Road in Iowa Falls. Calkins Nature Center – Located at 18335 135th St. in Iowa Falls.